There is no denying the fact that student life is challenging. Homework, assignments, projects, surprise tests, and brace yourselves, exams. But do not fret, we have the internet! And no, the internet isn’t just a time-guzzling, endless pit of memes and music videos. On the contrary, it is home to dozens, if not hundreds, of websites that are designed to make student life easier. Here’s a list to prove it. 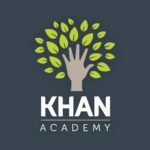 Many of you may already be aware of this popular YouTube channel, but this list would be incomplete without KhanAcademy. I’ve lost count of how many times this website has saved me. Whenever I need to learn a complex topic, I go to KhanAcademy, and I almost never have to look for explanatory videos anywhere else. The subjects on this site include math (with 10 different subjects including one that’s called ‘Math for fun and glory’! ), math for Indian curriculum, science and engineering, economics and finance, and more. Also, the website offers test prep for SAT, GMAT and even IIT JEE! 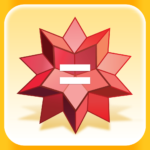 Wolfram Alpha is one of the most useful websites for students in more ways than one. It truly is a ‘knowledge engine’ in that it can solve almost any mathematical question. Starting from basic algebra to trigonometry to high school calculus, I personally used this site to get solutions for hundreds of math problems. Some solutions even included graphs and step-by-step answers, however, the step-by-step solutions are a paid feature now. Wolfram Alpha can help you with subjects other than math, too. Currency conversion, measurements and units, statistics, chemistry, physics, life sciences . . . the list goes on. When I stumbled across this website, the first thing that caught my eye was the phrase, ‘Homework . . . in a snap!’ in big purple letters on the screen. And Socratic is exactly that. Use the website to search for solutions to math problems, science or history questions, etc. But the real charm of Socratic lies in the mobile application. It’s a free app for both iOS and Android. All you have to do is take a picture of a question that you want the answer to. If the solution exists in the web, the app will deliver it to you in an instant. Additionally, the app suggests videos, gives explanations, graphs and definitions. 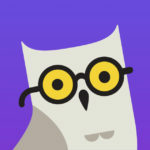 Make sure to get this app because that wise, bespectacled owl will definitely help you one day. 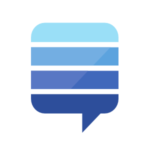 StackExchange is a bit like Yahoo! Answers, except it’s more streamlined for students. This website is where you can ask specific questions for which answers exist. Although Quora and Yahoo! Answers can potentially serve the same purpose, StackExchange gives you a wider reach because of the way the website is designed. You can ask questions about history, calculus, college advice, or even Quentin Tarantino’s seemingly pointless movie dialogues. If you like to listen to music while you’re studying, 8tracks has almost 2,00,000 playlists that are curated just for study time. These ‘study playlists’ typically consist of music that will help you stay focused. You can find playlists that are made entirely of songs without vocals, songs with only gentle piano music, songs from various subgenres of electronic music, and more. But wait, there’s a lot more to 8tracks than just study playlists. Have trouble sleeping? Or are you in a party mood? 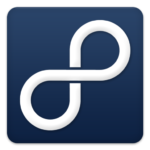 8tracks has thousands of playlists for you to choose from. 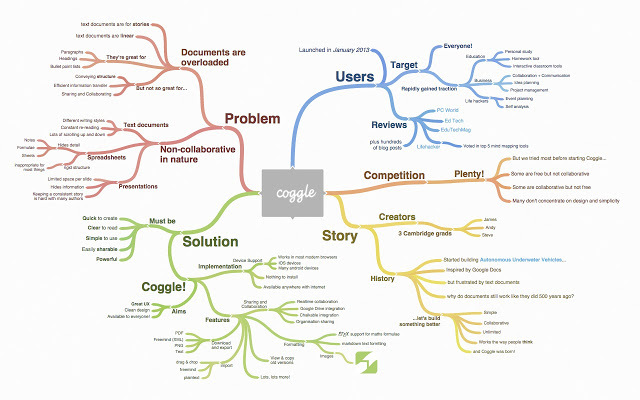 Coggle is an online mind mapping tool that allows you to create colourful mind maps. When it comes to studying complex topics where you have a lot of things to remember, mind maps are the best way to retain important information. And Coggle is a great website to create these mind maps. Plus, it’s free so it won’t burn a hole in your pocket. You can also try MindMup which is another free online mind mapping tool. Soft piano music plays as soon as the Pixel Thoughts webpage loads. 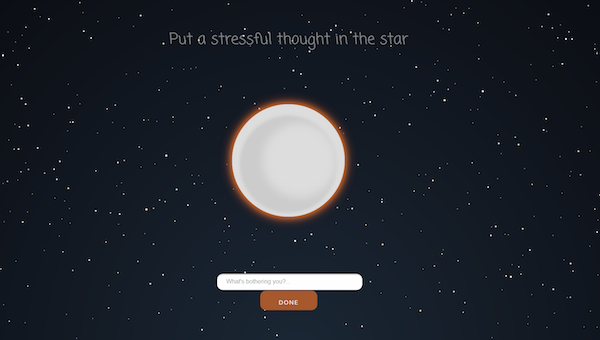 A text box beneath a glowing orb asks you, ‘What’s bothering you?’. Whatever stressful thought you type goes into the orb and it starts to shrink. Your sixty-second meditation begins as the star continues to diminish in size. Short messages appear on screen, reminding you of the grandiosity of our universe and the insignificance of our worries. As the minute ends, you’ll feel refreshed and, as the website hopes, a little less stressed.